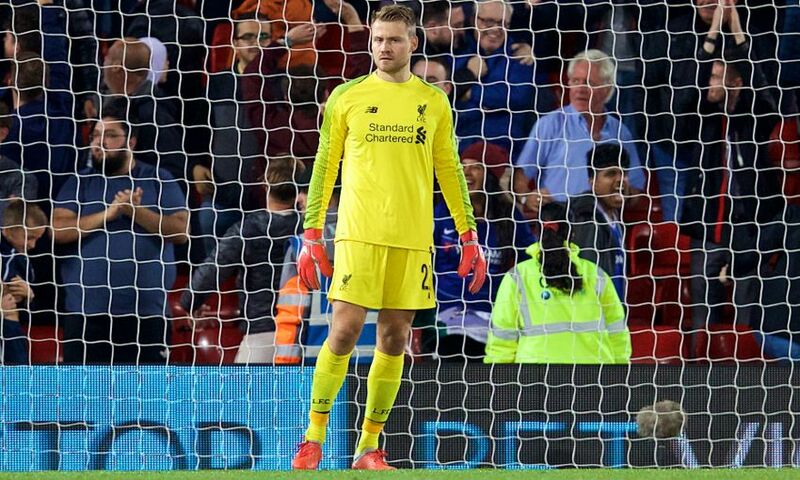 Simon Mignolet believes Liverpool can learn from the Carabao Cup loss to Chelsea and factor elements into their preparations ahead of the teams meeting again in the Premier League at Stamford Bridge this weekend. The Reds exited the tournament at the third-round stage on Wednesday night following a 2-1 defeat by the Blues at Anfield, with late strikes from Emerson and Eden Hazard cancelling out Daniel Sturridge’s opener. The sides will clash once more on Saturday evening as Jürgen Klopp’s men will look to bounce back by extending their advantage over Chelsea to five points in the fledgling table - and Mignolet feels the post-match analysis at Melwood in the next few days can prove beneficial in helping Liverpool ready themselves for the challenge of trying to clinch a victory in London. He told Liverpoolfc.com: “I think we didn’t deserve to go out of the competition. We had enough chances to win the game and go forward, but unfortunately, we lost it in the end and we go out of a competition we wanted to win. “It’s a disappointment, but we don’t have much time to reflect on it and have to go forward. Again, it’s a game against Chelsea [next], so we’ll learn the lessons from tonight’s game and hopefully we can beat them on Saturday. After Chelsea had begun the cup tie strongly at Anfield, Liverpool found their feet in the contest and Sturridge’s well-taken opener was a deserved one. The Reds had further opportunities to extend their advantage but were unable to capitalise, which led to them ultimately being punished in the final 10 minutes by Emerson’s close-range finish and a stunning solo effort from Hazard. Mignolet’s inclusion in goal was one of eight changes made by Klopp from Saturday’s win over Southampton as he replaced Alisson Becker between the sticks. “I was pleased to be on the pitch,” he said. “It was a while since I’ve played, but I felt good in the game. To be on the pitch again was really nice and I think I did my job the best I could. “I keep trying to work hard in training, like I always do, and help the team when needed. That’s all I can do, really. “You want to play, that’s the only thing you can do, but in training we push each other. Me and Alisson work together on a good basis, our relationship has been good ever since we came together and then we’ve got a few younger boys who are pushing us forward as well. As well as the No.22, there were also first appearances of the season for Dejan Lovren, Nathaniel Clyne and Alberto Moreno, as well as a maiden start for Fabinho. Mignolet continued: “With the squad we have, we have so many good players. We made eight changes, but you saw what kind of line-up we can put out against Chelsea – and that’s credit to the squad we’ve got.